Very Good. 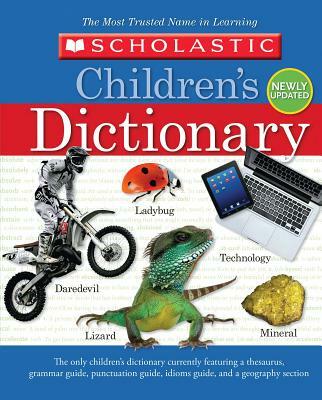 Scholastic Children's Dictionary by Scholastic Books. Glued binding. Paper over boards. 648 p. Contains: Illustrations. Intended for a juvenile audience. Good. Scholastic Children's Dictionary by Scholastic Books. Glued binding. Paper over boards. 648 p. Contains: Illustrations. Intended for a juvenile audience. Read All about Me Posters: 30 Big Write-And-Read Learning Posters Ready for Kids to Personalize and Display with Pride! Extra! Extra! Read All about Me Posters: 30 Big Write-And-Read Learning Posters Ready for Kids to Personalize and Display with Pride!